You must stay drunk on writing so reality cannot destroy you." At age nineteen, R.J. Huneke traveled across the country from New York to California in a dilapidated van with no brakes or heat . . . in the winter. And it was there that he began to write his first novel. Cyberwar is a thriller novel from author R.J. Huneke and was released worldwide on May 5, 2015. It is now available in hardcover (first printing sold out), softcover, and eBook (Kindle, Nook, iBooks) wherever books are sold. For Cyberwar, R.J.'s extensive knowledge on cyber warfare, biohacking, and political protest, as well as his strong female protagonists are what set the riveting story apart. R.J. spent years researching for his latest cyber / noir / science-fiction / thriller Cyberwar. 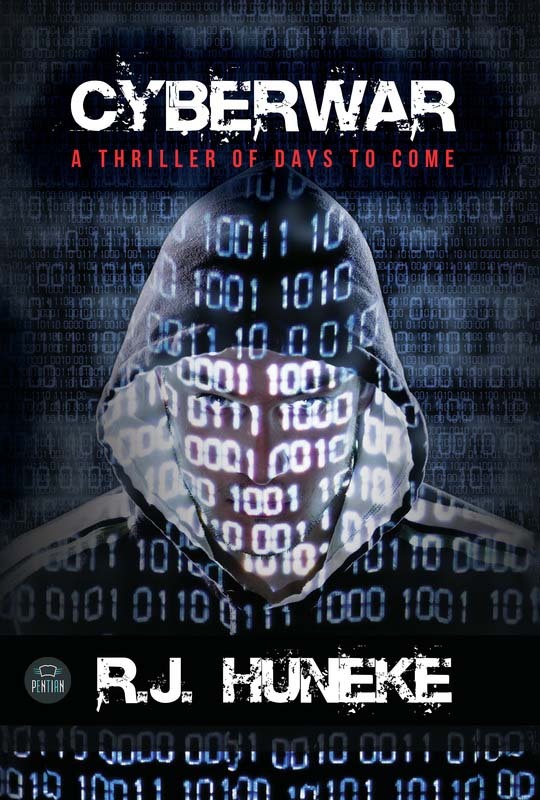 A longtime writer and columnist, Huneke has interviewed cyber security professionals, carefully examined advances in science, including robotics and artificial intelligence, and compiled modern day speculations on technology and spun them into an electrifying journey into a dystopian society dominated by cybernetic hackers. R.J. continues to master his craft in the fiction, photography, film, comic, non-fiction, poetry, and art forms. A former columnist for Newsday, he continues to write regular columns about technology, robotics, books, and popular culture. His publications to date, both online and in print, include work for Newsday, Gadizmo, New York Wine Events, My Consumer Electronics, SciFiNow, The Apple Gazette, Examiner.com, and many more. His upcoming creative projects involve graphic novel comics, film, children's books, a new science fiction novel in the Cyberwar Series., and a new mystery / noir / psychological thriller tale.